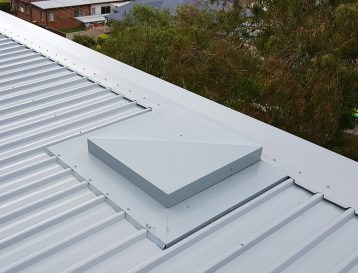 Natural Lighting Products manufactures a full range of roof access hatches right here in Australia. In addition to the range of all metal access hatch products you can purchase online below, if you require a glass or domed topped hatch, or a custom built motorized solution please contact us directly. Natural Lighting Product’s roof access hatches are dual skinned zincalume product with gas strut assisted top.